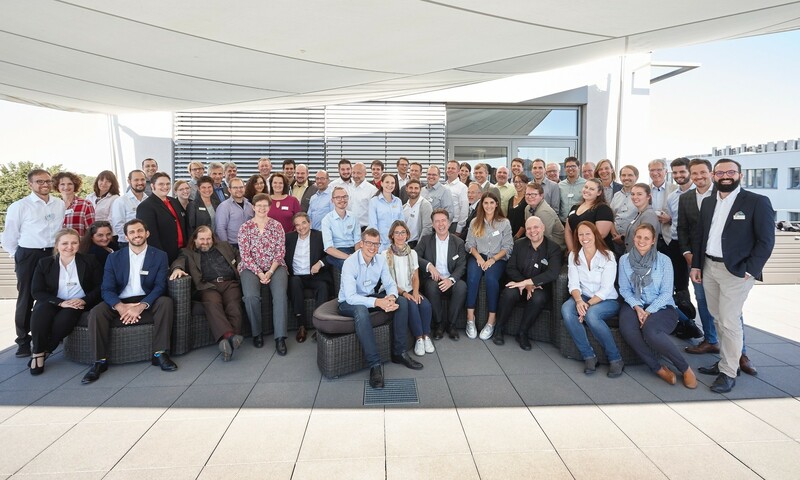 Our annual Bee4IT IT-Management symposium, which took place for the 4th time in Karlsruhe, was again very well received by all participants. The event was opened on Wednesday with round tables on Program & Portfolio Management, Enterprise Architecture Management, and Financial Management. Attendees had the opportunity to engage in a constructive exchange on topics such as “Supply Chain Operations & Information Services” and to learn about other solution approaches. After a short welcome and introduction of the participating companies by the managing director Sönke Claussen, Mr. Christian Kather showed in his lecture “Reliable Management Board Communication – Chain from Bee4IT Reporting to Business Review Meetings” how the IT of Heidelberger Druckmaschinen AG, uses Bee4IT for the presentation of the recurring annual planning, forecasts, etc..
Ms. Sieger then presented the Demand Management process at DB Schenker and the associated implementation in Bee4IT. Finally, in the afternoon, Mr. Wittenborg presented how integrated IT management with the help of Bee4IT is implemented at Miele & Cie. KG. In particular, the interaction between business (the users of the IT products) and IT was discussed. In the presentation on the new features in Bee4IT, the automatic service cost calculation and the many new possibilities of views in pivot tables were introduced, as well as the time reporting via web and the new web search, with which documents can be accessed remotely. Parallel to the introduction of new features in Bee4IT, a presentation on the efficient introduction of Bee4IT for newbees was given for the first time this year. Jan Seckler, responsible for Program & Portfolio Management at Clausmark, and Philipp Hansert, Director Sales, vividly demonstrated how Bee4IT works and how the agile approach can be used to perform many activities in parallel. They showed how Bee4IT can be implemented quickly and efficiently in the company thanks to its modular structure. In addition to the content-related topics, networking was of course an important focus as well. The networking dinner on Wednesday evening in the Kesselhaus was once again intensively used for the expansion and maintenance of the own network and for cross-company exchange. We are using a cookie from eTracker to collect anonymized visitor information. Our website embeds videos from YouTube. YouTube/Google may collect information about you, which may also may be transmitted to non-EU countries. Further information can be found in our privacy statement.